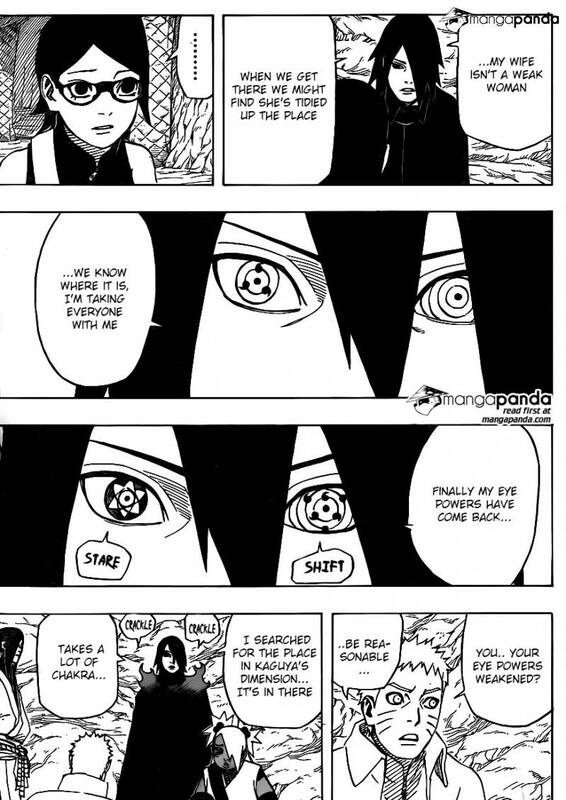 When looking at Sasuke's Rinnegan, I noticed that he had 6 dots in it (the same kind you find on a Sharingan). But Madara didn't have this. His just had a few circles but nothing else. The dots you're mentioning is actually called Tomoe, like you said, it is usually formed on Sharingan. 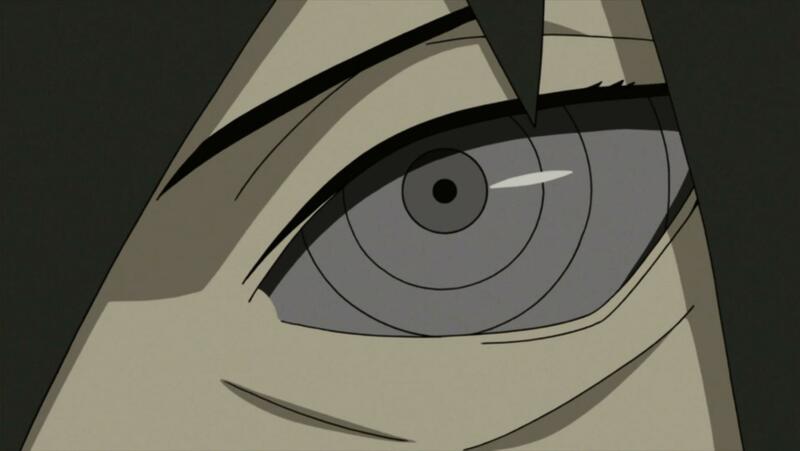 Rinnegan are usually characterized by light purple irides with a ripple-pattern that spreads over the eyeball, a few well-known wielders are Pain (not really though), Nagato and Madara. Back to the question, recall that Sasuke received half of Hagoromo's (aka Sage of Six Paths) chakra, thus awakened the Rinnegan. The Rinnegan Sasuke has is quite unique, it has 6 tomoe split between its first two ripples, this doesn't mean nothing, it indicates the Rinnegan is fully charged. What's the difference between a typical Rinnegan and a fully charged Rinnegan you ask? Well, it's simple. Fully charged Rinnegan wielder like Sasuke gains abilities typical Rinnegan wielders don't have. About the abilities, I bet you knew it already. Here you can see it happen in the manga. I think what happened is, the Tomoe represent the charge of Sasuke's Rinnegan. When he overuses it, they disappear and he can't use its full power. Hagoromo gave part of his power to Sasuke so he could activate the Rinnegan. Madara used Hashirama's cells to make himself fully as Hagoromo was, which means that Madara got the full portion of the Rinnegan power while Sasuke had only a small amount since he was given part of chakra to activate it. 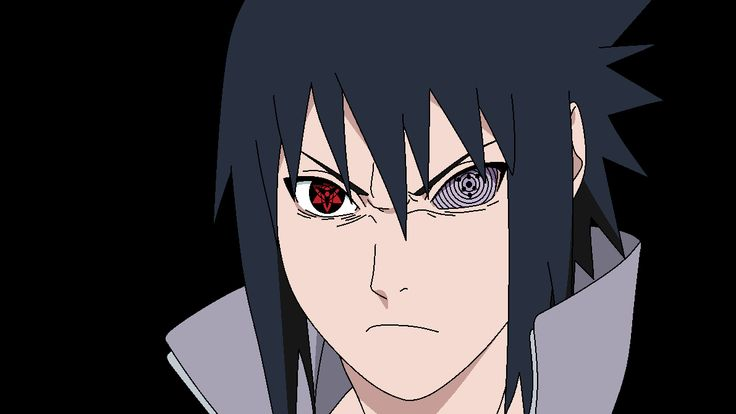 In short, Madara can use his eyes almost forever and at extreme levels, but Sasuke's needs to charge to be fully functional. There is proof of that in the mangas. The reason as to why it's different is never really stated, but we can infer why. First off, there are three different eyes in Naruto. From the weakest to the strongest, they are Byakugan, Sharingan, and Rinnegan. So the byakugan will stay a byakugan forever, but it can turn into a Tensaigan (I can't remember how, but that doesn't matter). Now for the most important Rinnegan and Sharingan, Sharingan can evolve into Rinnegan. However, before that, there are 3 things needed: a fully developed Sharingan, 3 Tomoe Mangekyou, then eternal. So as for what the Rinnegan is, it's basically a mixture of a Sharingan and its own traits, but the Sharingan aspect is only useable to Uchihas. That's why Nagato can't use Sharingan's effects, but Sasuke and Madara can. Byakugan is not the strongest. If you think about it, that was the Hyuga clan being arrogant. Susano, Kotoamatsukami, Amaterasu, Kamui? Byakugan has nothing on that. Sasuke's Rinnegan is stronger than Madara's. The Tomoe pattern indicates what I am guessing is an incredible amount of sage chakra that Sasuke can gather thanks to Hagoromo's buff. It's clear that at the least it's an advanced version of Rinnegan, otherwise Madara would have had Rinnegan powers far greater than Sasuke's considering he had two, yet Sasuke displayed far greater teleporting abilities which Madara would have used if he could have. From what I've heard, it's called a Rinne Sharingan, which is the last stage of evolution for a Sharingan and Rinnegan. Why did Madara have Rinnegan before activating it and nobody noticed? Did Itachi know that Shisui had a Mangekyo Sharingan? What happened to the tomoe in Sasuke's Rinnegan?